Here in the U.S. I often take for granted the ability to immediately find information on if I might have a cold versus the flu or what vaccinations are recommended prior to traveling abroad. Like a lot of Americans, I often consult health information on the Internet in addition to talking with a medical professional. This information makes me more informed about my own health and more confident in making healthy decisions. To tackle this issue, we're introducing a new initiative called Health Speaks which aims to help increase the amount of high-quality online health information in local languages. Today we are beginning pilot projects to support community-based, crowd-sourced translation of health information from English into Arabic, Hindi and Swahili. We encourage anyone with health knowledge who is bilingual in English and either Arabic, Hindi or Swahili to take part in the pilot projects for Health Speaks. We have chosen hundreds of good quality English language health articles from Wikipedia that we hope will be translated with the assistance of Google Translator Toolkit, made locally relevant, reviewed and then published to the corresponding local language Wikipedia site. To further show our commitment to this cause, we have funded the professional translation of a small subset of these articles. We are additionally providing a donation incentive to encourage community translators to participate. For the first 60 days, we will donate 3 cents (US) for each English word translated to the Children's Cancer Hospital Egypt 57357, the Public Health Foundation of India and the African Medical and Research Foundation (AMREF) for the pilots in Arabic, Hindi and Swahili, respectively, up to $50,000 each. This means that community translators will help their friends and neighbors access quality health information in a local language, while also supporting a local non-profit organization working in health or health education. We will undoubtedly learn from these three pilots and iterate on our approach as we learn how best to engage volunteers and provide tools that allow for easy and accurate translation. We hope to one day expand the Health Speaks initiative to include high-quality health content from other publishers and other languages that suffer from a lack of health information online. 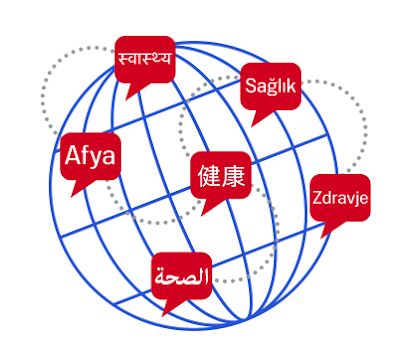 According to UNESCO, 90% of the content on the Internet exists in only 12 languages. Language should not be the barrier that denies millions of people worldwide the opportunity to improve their health with valuable health information. Please join us in the effort to break down part of that barrier. Update on 10/15 @ 10AM: We are excited to extend the donation incentive period for all three pilots to December 15, 2010. However, registration for new participants will close, as planned, on October 31, 2010. We are honored by the response we have received so far. At our events in Egypt, India, Kenya and Tanzania we heard from so many people about the effect quality health information can have in their communities. We’ve also received a great deal of feedback on the pilot and, as expected, will iterate on how best to crowd-source the translation of the health information. In the meantime, we’ve decided to extend the donation incentive period because we know many community members have begun translating articles, but have not had enough time to complete and publish them. We hope the additional time will allow community members to complete the great work they have started so their communities can benefit.